The issue of sustainability in supplies of aviation fuel has attracted almost no attention in Australia's ongoing defence debate, which mostly seems to be preoccupied with arguments over equipment acquisitions, and most recently focussed on network centric warfare issues. This is unfortunate as fuel supply is a critical determinant of whether air power can be used effectively, or not. Australia's position, in this respect, is as precarious in many ways as the RAAF's force structure planning is. It matters little what type of combat aircraft and other capabilities Australia acquires, if the fuel supply chain cannot sustain credible rates of resupply to keep the turbofans turning. To appreciate the full implications of this issue it is necessary to explore the whole fuel chain, from the tanker aircraft down to the hole in the ground from which the raw fuel is extracted. The reality is that to sustain any number of combat aircraft in the air, the volume of fuel available must match or exceed the demand resulting from the Rate of Effort to be sustained. A single sortie without aerial refuelling for a fighter like an F/A-18, F-111, JSF, F-15 or F/A-22A typically results in a cruise fuel burn of around 6,000 to 7,000 lb/hr. Making allowances of several thousand pounds for combat burn, and climb burn, does not leave a vast amount for fuel in a smaller fighter for transit to and from the target or other area of interest. As a result, tanker aircraft are effectively a prerequisite for almost all combat operations in this era, be they air combat or strike oriented. A key factor today is the demand for persistence in both air combat and strike roles, essential to exploit the engagement cycles which networking capabilities offer. The reality of this era, manifested over Iraq and Afghanistan, is combat aircraft remaining aloft for up to 14 hours, compared to a Cold War reality of 3 to 6 hours per sortie. Without significant persistence most of the effect of investment into networking is lost. Current planning to acquire five KC-30/A330-200MRTT tankers adresses around 25% of the RAAF strategic need for tanker capacity (EADS). If we look at the pinnacle of the fuel distribution chain, the tanker aircraft, Australia is already in genuine difficulty in delivering credible capability. US experience indicates that, subject to fighter and tanker sizing, an air force requires a ratio of between one or two medium sized - KC-135R class - tanker aircraft per every four fighters. Australia's current planning, centred on five A330-200 tankers, achieves at best around 25 percent of the fuel offload capability required to be credible in combat, for the existing and planned size of the fighter fleet. The numbers are irrefutable and supported by statistics from three consecutive air campaigns. All current Australian strategic defence planning makes the implicit but never stated assumption that US Air Force AMC or ANG tankers would be deployed to plug the yawning gap in RAAF aerial refuelling capacity (US DoD). Let us however assume that in a crisis Australia can borrow enough tankers to make up the gap between a properly sized force, and the currently planned force. These might be US Air National Guard tankers or Air Mobility Command tankers, crewed by US personnel. The second tier in the fuel distribution chain is the fuel storage and replenishment infrastructure at Australian airfields which would host the tankers and combat aircraft to be used - neglecting the fuel burn of the Wedgetail and other supporting assets. In strategic terms - considering scenarios involving long range air strikes into Asia, defensive patrols over high value economic assets such as the NW Shelf and Timor Sea, or a Noble Eagle scenario providing a defensive barrier against suicide hijackers flying in from abroad - the two most critical locations are RAAF Learmonth near Exmouth (WA), and RAAF Tindal near Katherine (NT). Other locations of interest include RAAF Curtin near Derby (WA), RAAF Darwin (NT) and RAAF Scherger near Weipa (Cape York). While all of these sites can support fighters, only Learmonth and Darwin have the runways to support sustained operations by tankers at high gross weights, and both of these sites are strategically well placed. If we look at a scenario which sees all of the RAAF's combat formations deployed north, we can safely assume at least sixty combat aircraft distributed across these bases, with tankers operating from Learmonth and Darwin – or Tindal with a runway upgrade. Assuming a single eight hour sortie daily by each fighter - disregarding constraints on aircrew numbers, we end up very quickly with an aggregate daily fuel consumption by the whole fighter force of the order of 1,500 metric tonnes. Accounting for tanker, AEW&C, LRMP and other fuel would drive this closer to 3,000 metric tonnes per day. Sustaining this Rate of Effort for a week consumes at least 21,000 tonnes, and for a month more than 84,000 tonnes. Increasing the sortie rate or the sortie duration drives these numbers up proportionately. In strategic terms, whether we assume a properly sized RAAF force structure, or a US Air Expeditionary Force of similar size operating in Australia, sustained operations on credible scale will require the capability to sustain a supply of around 3,000 tonnes of aviation kerosene daily. At this time the existing infrastructure cannot sustain effort on this scale. Existing storage capacity at most RAAF bases in the north is predicated on the assumption of about two weeks of operations for a squadron sized deployment of fighters, without significant tanker support. Indeed, neither Curtin nor Scherger have the runways to handle serious tanker traffic. The current global practice for replenishing civil and military airfields is to run a pipeline from a refinery or a shipping terminal to storage tanks at an airfield. Best practice is to size storage at the airfield such that it can cover sustained consumption for the period between deliveries by ship, as few refineries are located near enough to oil-fields to permit direct supply. The air campaigns in the Persian Gulf and the bombing of Serbia relied on pipelines used to replenish military airfields, the latter campaign exploiting the NATO Cold War era network of replenishment pipelines. Road trains are widely used across the north of Australia for fuel distribution. In a crisis issues arise with numbers of these vehicles, passability of the road infrastructure, and vulnerability to air attack. Current practice in Australia's north is to use tanker trucks to perform fuel replenishment. A large tanker truck will typically carry between 20 and 33 tonnes of aviation fuel, while a road train towed by tractor such as the commercial Tieman 2AB series can haul up to 120 tonnes. Therefore sustaining 3,000 tonnes per day requires between 25 and 90 delivery trips per day by large trucks or road trains, over the distance to the nearest intermediate fuel storage terminal. 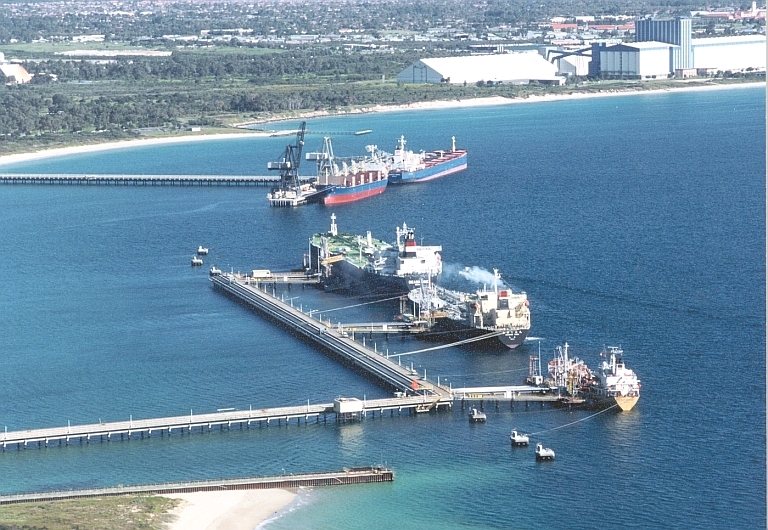 While this may prove feasible for Learmonth assuming a suitable shipping terminal and intermediate storage in the Exmouth Gulf, it is less so for Tindal given the distance to Darwin, and factoring in load and unload times for the tanker trucks. The reality is that to provide a sustainable replenishment capability Australia needs to look at the much more conventional NATO model, and install suitable replenishment pipelines, shipping terminals and significant on base storage capacity for key bases - Learmonth and Tindal being the most important. Implementing expanded on-base storage is not unusually demanding. Underground concrete tanks with reinforced column supported roofs, and a network of on-base fuel transfer pipelines and manifolds, supporting pumps and filtering equipment, is basic oil industry civil engineering. There is ample design and construction capability in Australia. If we assume 30,000 tonnes of aviation kerosene capacity per major base ie Tindal, Learmonth, in six 5,000 tonne underground reinforced concrete storage tanks, then each tank is a 4 metre deep 35 metre diameter structure, with internal support columns. The principal cost driver in such tanks is how deep underground the roof of the tank is, as the structure has to support the weight of the roof and soil above the tank. This amounts to how much investment is to be made in hardening the tanks against bomb or cruise missile attack. In practical terms such an investment incurs expenses of the order of AU$2 million dollars per 5,000 tonne tank – or more if significantly hardened, yet provides infrastructure which if well constructed lasts for centuries. The issue of air base hardening and specifically fuel storage hardening is not one which has attracted any attention in Australia's defence debate, despite its recent visibility in the US strategic debate. Given the proliferation of both cruise missiles and a wide range of precision guided munitions, including bombs, across the region, the notion that unhardened storage can survive a sustained campaign, let alone pre-emptive or harasssment raids, is open to debate. As a single point of failure item in the RAAF's capabilities, the fuel storage infrastructure hardening issue must be addressed in the nation's strategic planning. Other considerations for in situ fuel storage at northern bases include fuel filtering systems to remove particulates, filter/separators to remove water condensation, durable internal tank coatings or sealants, tank fire resistance, fuel additives to defeat organisms such as the Cladosporium resinae and to dissipate static electricity collected during pipeline transfers. Any tank designs would need to comply with environmental regulations, and be physically dispersed to minimise fractricide should any tank be subjected to bomb or missile attack. The other critical prerequisite for sustainable replenishment is constructing a scheme for feeding such fuel storage infrastructure with aviation kerosene. Airfields within a reasonable distance of the coast can be readily replenished by tanker vessel, using jetties or submarine pipelines, both techniques widley used in the oil industry. Depicted the Kwinana BP and KBJ jetties near Perth, WA. For airfields which are within reasonable distance of the coastline, or an established harbour, the conventional approach is to construct a shipping terminal to allow fuel to be transferred from a moored tanker vessel or naval replenishment ship, via a pipeline to the storage tanks. This is a model which is viable for Learmonth. Pipelines for Curtin and Scherger, as gapfiller sites, may or may not be viable given the distances and fuel quantities involved. Tindal presents interesting issues, as the distance to Darwin is considerable and would drive up the cost of a pipeline. 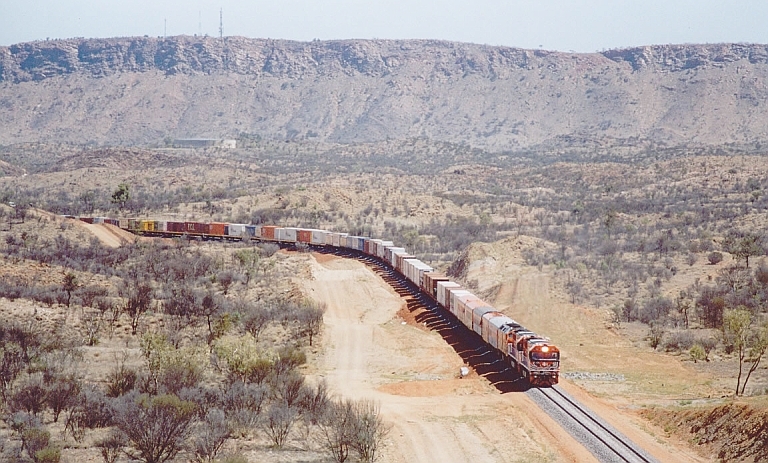 The recently completed Alice Springs to Darwin railroad has dramatically reduced the potential cost of high volume fuel resupply to RAAF Tindal and RAAF Darwin in the NT. To date there is no evidence this has been reflected in strategic planning. A single large railway tanker (below) can carry as much fuel as several road vehicles. However, Tindal is a mere 8 NMI from Katherine which sits on the recently completed Alice Springs - Darwin railway track. This presents two economical options for Tindal. The first is a railway siding at Katherine and fuel pipeline from Katherine to Tindal, using 100 tonne class railway tank cars to deliver fuel to Katherine and the pipeline to feed Tindal. The other option, much more flexible strategically, is to construct a railway track from Katherine to Tindal, and move fuel by rail directly to the base, at a construction cost of the order of AU$10 million. Given other uses for the railway, such as moving deploying Army forces to a secure military airfield by rail, or resupply of munitions, the direct rail access model is the preferable even if more expensive choice. Resolving outstanding capability gaps in delivering sustained fuel supply can thus be addressed with relatively modest infrastructure investment. This is predicated on the assumption that Australia has a reliable supply of aviation fuel in a crisis. Long term of security of supply is an issue in its own right. In June, 2004, the Department of the Prime Minister and Cabinet released 'Securing Australia's Energy Future', a 104 page policy document dealing with energy industry issues. Fifteen pages deal with security of supply. The document outlines a range of current measures and arrangements intended to ameliorate or manage disruptions to global transport fuel supplies, largely available as byproducts of Australia's membership in the International Energy Agency (IEA). These measures rely upon Australia drawing upon global stockpiles of transport fuels or crude oil in any contingency resulting in a major global supply disruption. Contingencies which are not explored in this document are those in which substantial disruption to external supply occurs as a result of maritime interdiction or air strike operations within the region, or terrorist strikes against regional refinery infrastructure. Examples are scenarios in which tanker traffic in the region is subject to attack by cruise missile firing aircraft, submarines, or refinery and storage infrastructure is subject to air attack, or global contingencies in which terrorists target tanker traffic, terminals and refineries using suicide bombing techniques. Natural disasters are also a possibility. There is a significant risk that any major contingencies arising in Asia could see large disruptions to Australia's supply of imported transport fuels. While arrangements under the IEA scheme would permit Australia to source fuels from global reserves outside the region, such arrangements would see much longer lines of supply impacting the rate of resupply and cost of supplied fuels. To place this in context, current DITR statistics indicate that Australia annually consumes 4,700 ML (3.76 million tonnes) of aviation kerosene, of which 20 percent is imported (and mostly sourced from Singapore), with Australian refinery output of 5,275.0 ML (4.22 million tonnes). The time lag involved in diverting fuel from sources outside the region, or bringing in additional crude for domestic fuel production, could severely stress domestic stockholdings, especially if weeks of time are involved. The PM&C document puts '... total national stocks of crude oil and product have been about 50 days of supply...' and '... Additional crude oil imports can generally be sourced in 24 to 25 days from Singapore, with Middle East supplies taking somewhat longer (with refined products available in a similar time)'. Current policy thus assumes that domestic demand in a contingency would not increase dramatically beyond what can be managed, and assumes that Singaporean supplies are available. Neither of these assumptions necessarily hold, especially if any significant conflict arises in the region. Such circumstances see concurrent demands for increased ADF optempo and diminished access to regional fuel supplies. What alternatives exist to plug this capability gap? The first is to significantly increase domestic stockholdings to buffer against delays, assuming that global demand will not shoot up. The strategic reality is that global demand is certain to climb rapidly if a major contingency arises in Asia. The other alternative is domestic production of synthetic fuels. Synthetic fuels have always had difficulty in competing against crude oil derived fuels, and the two best examples of large scale synfuel production were Germany during WW2 and South Africa's Sasol during the Apartheid era. In both instances fuel was produced from coal. While the cost of synthetic crude oil is now cited at US$20-35/BBL, about half the price of natural crude oil, infrastructure investment cost amortisation rates have remained a major obstacle. Synfuel technology has evolved in recent years and two specific synthetic fuel processes should be of interest to Australia. The first of these is Gas-To-Liquids (GTL) and the second is Underground Coal Gasification - Coal To Liquids (UCG-CTL). Modern GTL processes, such as the Syntroleum process, are based on the legacy German Fischer-Tropsch process. Natural gas, rich in methane, is reacted over a catalyst with compressed air to produce synthesis gas, which is fed into a Fischer-Tropsch catalytic reactor to produce synthetic crude oil. The synthetic crude can then be processed in a refinery to produce high purity gasoline blends, diesel fuel, aviation kerosene and chemical feedstocks. The Commonwealth licenced the Syntroleum process as part of the abortive effort to construct a GTL plant at Sweetwater in WA. Underground Coal Gasification is a technique pioneered by the Soviets and used for decades. Rather than mine coal and produce synthesis gas in a reactor, the UGC process involves drilling holes into a deep coal deposit, igniting it, pumping in air and steam, and extracting synthesis gas from the subterranean cavity. Linc Energy in Queensland are operating a pilot plant at Chinchilla. As the UGC process is a relatively cheap source of synthesis gas, it can also be used to feed a Fischer-Tropsch reactor and thus produce synthetic crude oil. Linc Energy and Syntroleum have recently partnered to develop this process in Australia. Why the GTL and UGC-CTL processes should be of interest in Australia is because Australia has world class natural gas and coal reserves. Australia has 76 billion tonnes of known coal reserves, ranking it fifth globally, and 2.407 trillion cubic metres of natural gas, ranking it fifteenth globally. Should a synthetic fuels industry be developed in Australia, using coal and/or gas as a feedstock supply, then long term issues of security of supply in key strategic fuels such as aviation kerosene and diesel vanish. Current policy mostly relies upon market forces to drive resource development, and until the recent growth in global crude oil pricing, synthetic fuels were considered borderline in terms of profitability due to investment costs. The confluence of technological evolution and global demand driven pricing now creates an opportunity, since a well focussed national energy policy which aims to first develop synthetic fuel capabilities in Australia around strategic fuels such as aviation kerosene and diesel could provide domestic self sufficiency, even at the demand levels required for high optempo ADF operations. Ideally an initial target capacity for such an industry would be to cover peacetime consumption rates plus increased demand for periods of conflict, with the excess refined fuels capacity exported during peacetime. In summary, current and past planning sees Australia in the position where it is not able to exploit much of its stated air force capability in a serious contingency due to an underdeveloped fuel replenishment and production infrastructure. By the same token, opportunities have developed recently which allow this capability gap to be plugged affordably, but to date none are reflected in planning or policy.